Acoustic panels from the Classic Series are one of the most sophisticated and quality made acoustic panels on the market. Their high quality can be seen in the perfect finish of the product. The rear part of the panels is covered with a special fabric and surrounded by custom painted aluminium frame. Absorption material used is one of the most advances and offers the highest levels of absorption possible. This series is compatible with our other high-quality panel series, the Professional and Luxury series. 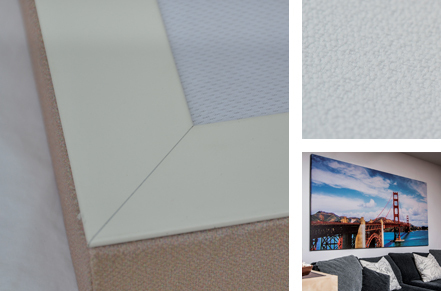 Acoustic panels from the Classic Lite Series are an alternative to the normal Classic Series. 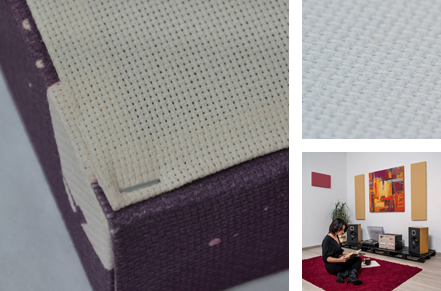 They were made for people who are on the look for a good cost effective acoustic solution. These panels feature different, more rigid cotton fabric and different finish on the rear side. The level of absorption is lower than with the normal Classic Series elements, but still much higher than with foam acoustic solutions. Because of this, we do not recommend combining this series with our Professional or Luxury Series, but instead recommend using it separately on its own.